The presidential race just got shaken up! 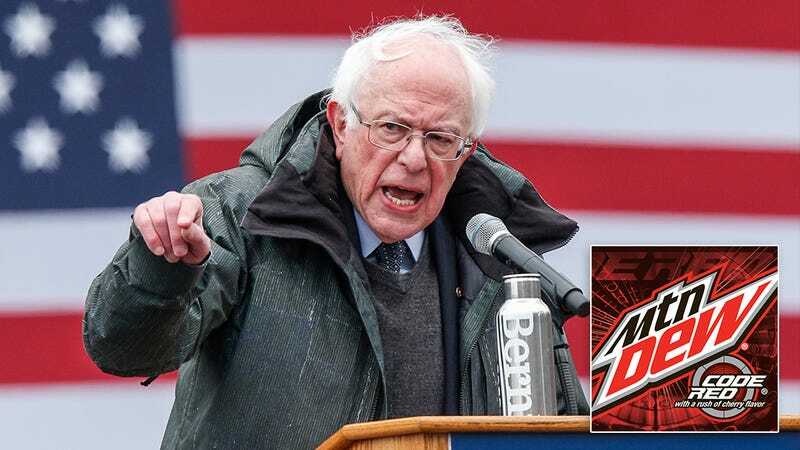 Democratic candidate Bernie Sanders announced he is now fervently capitalist after tasting Mountain Dew Code Red for the first time and learning it was made by a corporation. Wow. This is a major pivot from Sanders’ former platform of wanting to increase taxes on wealthy companies, and it’s bound to have massive ramifications for the 2020 election! This is definitely a big change for the former progressive candidate, and it will be interesting to see if Sanders can carry this new pro-capitalist ideology all the way to the White House. If anyone can convince voters that corporations deserve way more money so that America can maximize its production of Mountain Dew Code Red, it’s a grassroots hero like Bernie Sanders. Other Democratic candidates should definitely take note, because Bernie just changed the game!